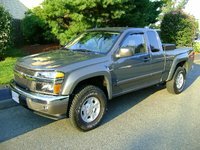 CarGurus has 24,532 nationwide Frontier listings starting at $1,900. The Nissan Frontier sits near the top of the compact pickup truck class as a result of its masterful combination of a powerful V6, versatile hauling capacity, and well-tuned off-roading capability. It comes in two basic trim lines: King Cab and Crew Cab. The former comes with a 6-foot bed, while the latter comes standard with a 5-foot bed, but the 6-foot bed is available in the SE and LE trims. The King Cab is available in XE, SE, LE, and NISMO trims. The Crew Cab is available in all trims but the base XE. The XE line's engine is a 2.5-liter four-cylinder that produces 152 hp and drives the rear wheels. Naturally, this is the most environmentally friendly Frontier engine, with EPA ratings of 19/23 mpg with the manual transmission and 17/22 mpg with the automatic. Mileage-wise, this is as good as it gets with the Frontier. Most reviewers tested and were quite impressed with the other available engine: a 4.0-liter V6 that produces 261 hp and 281 pound-feet of torque, coming in either a rear-wheel- or four-wheel-drive configuration. Kelley Blue Book commented that the engine, "might be the smoothest, strongest V6 ever put in a pickup." However, two reviews pointed out that the engine gets most of its power at higher engine speeds, which is not very economical. The EPA rates the V6 with all-wheel drive and the five-speed automatic at 14/19 mpg. The manual transmission makes only a slight improvement, 15/19 mpg, with rear-wheel drive and the manual achieving the best Frontier V6 mileage at 16/20 mpg. The six-speed manual received the most praise with reviewers, who noted its "buttery-smooth shift characteristics." Some reviewers also noted that the five-speed automatic is a sophisticated unit that kicks down quickly and willingly. The Frontier's handling was smooth enough for "sedan fans," yet still felt like a truck. Nissan has combined a front independent double-wishbone suspension and anti-sway bar with an overslung multi-leaf solid-axle rear suspension tied to a solid body structure. The result has been characterized as "firm but absorbent" and "as solid at 90 mph as...at 60 mph." The NISMO trim, however, is another story. This is a full-out off-roading vehicle and nothing else. With an on-demand electronic locking rear, two-speed transfer case, and Bilstein performance shocks, it can also be optioned with hill descent control and hill start assist, and there are few off-road objects it cannot negotiate. Back on the streets, the Crew Cab (with either a 59.5-inch or 73.3-inch long bed) can carry from 1,098 to 1,482 pounds, while the King Cab (73.3-inch cargo bed) ranges from 994 to 1,583 pounds. Variations depend on trim, transmission, and drive configuration. Nissan uses a built-in track and heavy-duty aluminum cleat system and optional cargo fence to maximize cargo capacity. The Crew Cab has a maximum towing capacity of 6,300 pounds and the King Cab can handle up to 6,500 pounds. Again, the key here is that powerful V6. Safety ratings are good, with four out of five stars for driver and front passenger protection in a front impact and five out of five for front and backseat passenger protection in side impact crashes. All trim lines come with four-wheel ABS with electronic brakeforce distribution and a tire pressure monitoring system. Front-seat side airbags and full-length side curtain airbags are optional on all trim lines. Besides the fuel mileage issue, the other main complaint on the Frontier is the choice of interior plastics and rear seat space. While reviewers overall found the interior to be stylish and comfortable, they complained that the quality of plastics found there placed it in the middle of its class - "every interior panel is made of hard plastic." The King Cab seats four with its two rear jump seats, while the Crew Cabs are "more sedan-like" with their rear bench seating. Overall, reviews found the front seats comfortable and supportive. Reviewers felt that the King Cab's jump seats were not really fit for the adult human bum. If you want to carry people, the Crew Cab was the overall choice. Yet, even there, reviewers found "kid-size" leg room. Overall, the Frontier's numerous positives have overwhelmed its fuel economy, hard plastics, and rear space issues to propel it to the forefront of the compact pickup class. 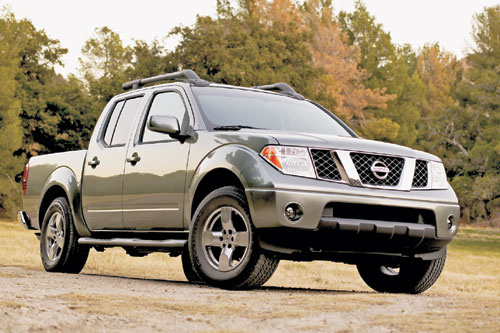 What's your take on the 2008 Nissan Frontier? Have you driven a 2008 Nissan Frontier? Do I need to add a supplement to the gas tank in an 08 Frontier. I keep hearing that alcohol gas can clog things up. My 2008 Frontier Won't Heat/defrost Cab When Idling. When idling cab won't heat/defrost won't work. Engine temp. rises as expected. Cab/defrost begins working when you start driving. can I put snow tires only on the rear of my 2008 Nissan Frontier?